More heat and no relief for the people of Karachi as weather getting hotter day by day. The ruthless killings of Karachites has made every heart drowned in deep sorrow and whole nation feels pity for the fellow citizens. Water shortage has also been a main issue from past few days and people are striving to get basic necessities which government is bound to provide. The National Disaster Management Authority (NDMA) said it had received orders from Nawaz Sharif to take immediate action. The army was also being deployed to set up heat stroke centres and assist the NDMA, it added. Temperatures have reached 45C (113F) in recent days in the city of Karachi. Sindh province Health Secretary Saeed Mangnejo said that 612 people had died in the city's main government-run hospitals during the past four days. Another 80 are reported to have died in private hospitals. Many of the victims are elderly people from low-income families. Thousands more people are being treated, and some of them are in serious condition. The demand for electricity for air conditioning has coincided with increased power needs over Ramadan, when Muslims fast during daylight hours. Hot weather is not unusual during summer months in Pakistan, but prolonged power cuts seem to have made matters worse, the international media reports. 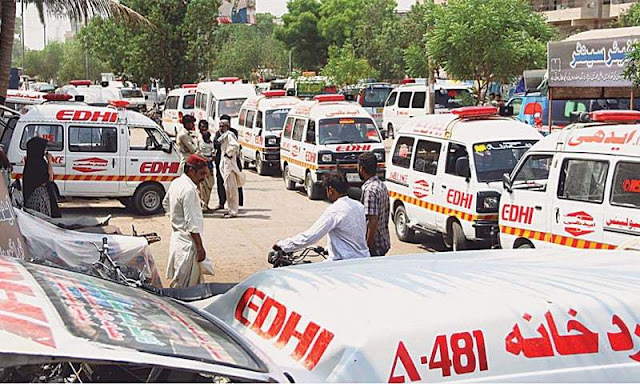 The situation is getting worse and death toll increase as media created so much for the deaths, it is allegedly said that usual casualties are also counted as heat wave victims; which cause sever agony in people. Government is unable to provide electricity and water; without these basic needs poor people of Karachi are suffering and getting nearer to death. Such intense weather was in Lahore last year while India is also having severe heatwaves and human losing their lives.